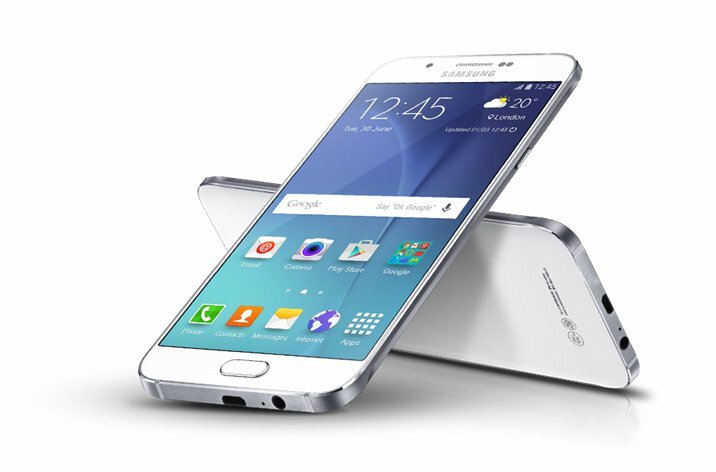 THE Samsung Galaxy A8 2016 Model is an upgrade from the 2015 first generation smartphone. This smartphone comes with improved features when compared with it’s predecessor, the Samsung galaxy A8 2015 model. The Samsung Galaxy A8 2016 model, which is also known as SAMSUNG Galaxy A86 is an Android phablet which is manufactured by Samsung Electronics. The 2016 revamped Model was introduced on the 30th of September, 2016 by South Korean telecom provider SK Telecom. Unlike several smartphones in the Galaxy A model, the Galaxy A8 (2016) comes with a better processor, which shares similarity with the Samsung 2015 flagships, the Samsung Galaxy S6, Samsung Galaxy S6 Edge and Samsung Galaxy Note 5. Immediately after Samsung Electronics released the 2016 flagship of the A8, the device was only available in the South Korean market, and comes with a price tag of 649,000 South Korean won (estimated around 580 USD), during the 1st of October, 2016. This smartphone came with an Exynos 7420 SoC, which consists of 4 ARM Cortex-A57 and 4 Cortex-A53 backed by the Mali-T760MP8 GPU and a 3GB of RAM and 32 GB internal storage, which can easily be expanded by inserting a MicroSD of 256GB. Now, the slot where you can insert the MicroSD memory card to expand your storage space, can also be used to insert a second Nano-SIM (in international versions), this means that you’ve got one option, either you used the slot for MicroSD or insert a second simcard. This smartphone comes with a non-removable battery like its predecessor, and a 3500mAh battery with Fast Charging technology. The Samsung Galaxy A8 (2016) has a full metal body, similar to Samsung Galaxy A8, the Galaxy A8 (2016) has a larger 5.7-inch display compared to Samsung Galaxy Note 7, but uses Full HD Super AMOLED. The Galaxy A8 (2016)’s front display is protected by Corning Gorilla Glass 4. The Samsung Galaxy A8 (2016) runs on the Android 6.0.1 “Marshmallow” and come with a UX interface, which was first introduced in the Galaxy Note 7. This device also features a new “Always On display” functionality, which displays a clock, calendar, and notifications on-screen when the device is in standby, which is similar to Samsung Galaxy S7, S7 Edge. In Camera, Samsung did not disappoint users, as the A8 features a better 16MP (megapixel) back camera and a 8MP (megapixel) front shooter for selfies.